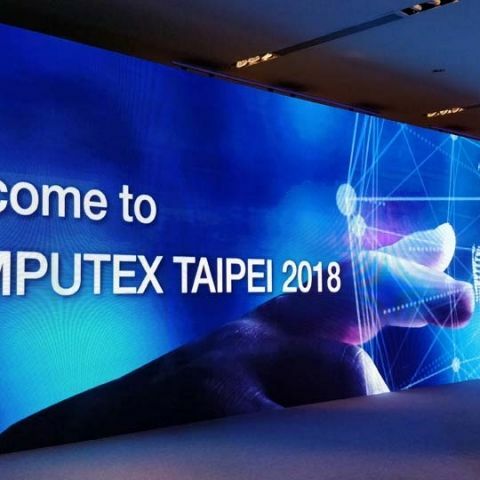 At COMPUTEX 2018 Delta showcases IoT-based solutions like the microgrid and an IoT-based smart building automation solution to nurture energy efficiency in cities. At COMPUTEX 2018, Delta, a global power and thermal management solutions provider, has announced a full range of IoT-based smart green solutions aimed at energy efficient cities. At the event, Delta’s CEO, Mr. Ping Cheng; Chief Brand Officer Ms. Shan-Shan Guo; Building Automation Business Group’s general manager, Mr. Bill Lo; Energy Infrastructure Solutions Business Group’s general manager, Mr. Herman Chang, as well as Energy Storage Device Business Department’s assistant vice president, Mr. James Chen provided details about the latest offerings from Delta. 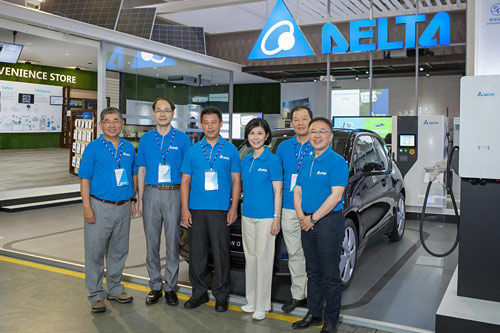 Delta demonstrated a microgrid-supported electric vehicle (EV) charging station along with shopping and leisure facilities at its booth. The microgrid solution integrates EV charging with energy storage. It features the new Delta V2H/V2G (Vehicle-to-Home/ Vehicle-to-Grid) EV Charger that allows EV users to actually power their home appliances from their EV battery or even sell surplus energy back to the grid. For a fully automated full-service store scenario, the design showcase an IoT-based smart building automation solution that integrates building management & control, LED lighting, and surveillance solutions, and energy management platforms developed by Delta and its subsidiaries LOYTEC, Delta Controls and VIVOTEK. For instance, the UNO Indoor Environmental Quality Service Solution from Delta combines indoor sensors, commercial heat exchangers, air purifier equipment, and modular air conditioning units for monitoring the real-time levels of pollutants and other factors in the air, but also purify the air at the same time. The V2H/V2G EV Charger is capable of bi-directional power transfer between the EV battery, home appliances and the electricity grid. The microgrid has been created using Delta’s power conditioning system and the containerized battery energy storage system, both already supporting a 4.6MW power plant in Ako, Japan and Taiwan Power Company’s research centre in Shulin, New Taipei City, Taiwan.